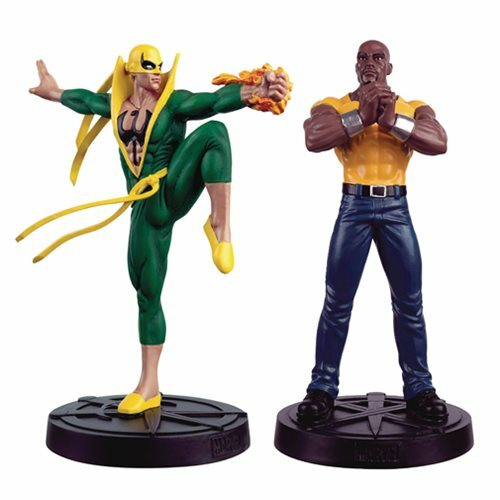 The Marvel Fact Files Specials bring you the Heroes for Hire - Iron Fist and Luke Cage - in one boxset. Each statue measures about 4 1/2-inches tall on a Marvel branded base and comes complete with two 20-page magazines. Ages 14 and up.